Remember the $8,000 homebuyer tax credit? 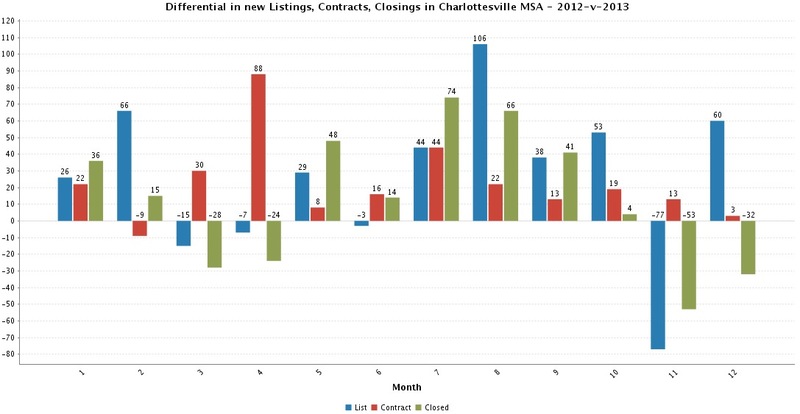 Remember how it pulled demand forward and compressed the 2010 real estate market (in Charlottesville at least)? It looks like the first two months of 2014 were slower than the first two months of 2013 and March is when the market starts to pick up. 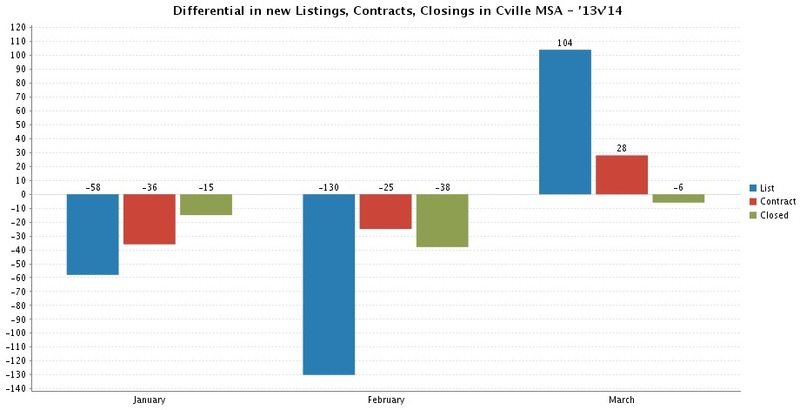 Anecdotally in the City and close-in county, I think the market is red hot. My neighbors across the street had an offer and contract without even listing, and I’ve seen 3 other houses close by go under contract with under 30 days on the market. I guess we are yet to enter the main selling/buying season, but so far I have been surprised. I’m not involved in the real estate industry, but this is the hottest I have seen it in several years, at least from my front porch in the City. One the other side of the various statistical medians are probably outdated houses, or places with unrealistic asking prices based upon “what I paid for it/ what I need to break even”.